Following the huge success of last year’s event, you are invited to support our 2nd Charity CanalAbility Golf Day at Canons Brook Golf Club. Enter a team of 4 or promote your company by sponsoring a hole for a minimum sponsorship donation of £100! Many amazing team, on-course & auction prizes, including a round of golf for 3 with European Tour Professional Steve Brown at Wentworth Golf Club and a 4 ball at The Grove! We guarantee a fantastic afternoon for all – come and join us! 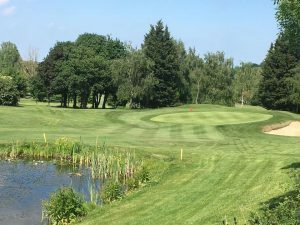 TOP PRIZE: FOUR BALL AT THE GROVE! Prizes for the top 3 teams, Nearest the pin, Longest Drive & other on-course prizes. Tea/coffee & bacon roll on arrival. Complimentary on-course ‘Pimms’ tent & 2 course dinner. You also have the opportunity to promote your business by sponsoring a tee. Sponsorship starts from £100 and the most prominent tee positions go to the highest bidders!